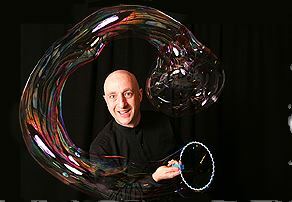 Casey Carle will delight audiences with his ‘Bubblemania’ show at Ivoryton Playhouse, July 28. IVORYTON — The Ivoryton Playhouse brings you another summer full of fun and educational programs all geared towards children. The Playhouse is proud to present some new and exciting live performances featuring some of Connecticut’s most popular, professional artists. Performances are for children of all ages. Help your child discover the magic of theatre this summer at The Ivoryton Playhouse. A swashbuckling pirate and princess adventure! A pirate’s life isn’t all “yo-ho-ho and a bottle of grog,” ya know. It’s hard work searchin’ for treasure, avoidin’ the sea monsters, keepin’ the crabs from eatin’ your nose, and fallin’ overboard just in time to meet a giant octopus. But it’s worth it when ya haul in that treasure chest . . . but the treasure in this chest happens to be a princess . . . a princess who doesn’t even believe you’re a pirate! And how do you prove you’re a real pirate? Arrgh. Well, ya start with a whole lot o’ mattresses! Jack & Jill is a one-man puppet show featuring hand-carved, folk-toy-inspired puppets and live music. The show explores the contemporary issue of water conservation in the tradition of the Appalachian Jack Tale. In this story, a young coal miner and his companion go ‘up a hill to fetch a pail of water’ then take on a selfish giant and save a whole neighborhood! Everyone is welcome to a big ol’, heapin’ helpin’ of this good-natured, heartland American story of teaming up and looking out for the little guy. A show for all ages. Back by popular demand! Casey Carle performs tricky undulations, manipulations and juggling with bubbles. An extremely unique program combining high energy entertainment with artistic achievement, BubbleMania is loaded with visual comedy, quick wit, big band swing music and the untamed, often unbelievable qualities and beauty of spherical liquids. Casey’s creations grow from intricate and imaginative bubble artforms to “trapping” people inside bubbles! This is a bubble show to keep the 5 to 75 year-olds mesmerized. All performances are at 11am. Tickets are $14 and are available by calling the Playhouse box office at 860-767-7318or by visiting our website at www.ivorytonplayhouse.org Book early to avoid disappointment. (Group rates are available by calling the box office for information.) The Playhouse is located at 103 Main Street in Ivoryton.